Established in 1991, Action Lock Service provides a complete range of residential, commercial and automotive locksmith solutions to customers across Stirling and the northern suburbs of Perth. Based in Balcatta, we have a fleet of four fully-equipped vans and a team of experienced locksmiths who are on call 24/7 to assist you with your locksmithing requirements, from real estate repairs and the rekeying of locks to the supply and installation of electronic access control systems and so much more. 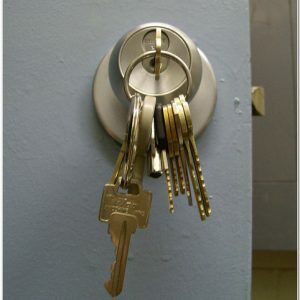 Wherever you work or live in Stirling, we have your emergency locksmithing needs covered. And as we provide 24/7 emergency locksmith services, whenever you have need of an emergency locksmith in Stirling you can rely on our experienced and qualified team of locksmiths to arrive quickly at your location, even on weekends and in the middle of the night. As a leading provider of locksmith services across Perth and the surrounding areas, the locksmiths at Action Lock Service welcome the opportunity to provide you with informed advice on all your home and business security requirements. No matter where in Perth you reside the threat of crime is always close to your home or place of business and Stirling is no exception. Although crime rates are low in the area, no home or business is completely free of the threat of break-ins and burglaries. Our experienced locksmiths can inspect your home or place of business, checking to make sure your doors and windows are secure and advising you on your requirements. We supply and install a wide range of high-quality door and window locks if your home or business security needs upgrading and we also offer options like rekeying locks. This is a cost-effective solution if you don’t want to have the mechanisms completely replaced. Additionally, we supply and install safes, digital key lock boxes and access control systems, we supply and program new remotes for automatic garage doors and we also provide an emergency call out service should you ever find yourself locked out of your home. Action Lock Service offers a variety of automotive locksmith services, including key replacements, supply and reprogramming of all transponder keys, removing and reprogramming vehicle ECUs, a wide range of rekeying services and we can also help you gain access to your car if you’re locked out. Whenever you need an emergency locksmith in Stirling and the northern suburbs, call the mobile security experts at Action Lock Service on 08 9240 7200.